The benefit from positioning the maxillary casts with the aid of face-bows has been questioned in the past. Therefore, the aim of this study was to investigate the reliability and validity of arbitrary face-bow transfers compared to a process solely based on the orientation by means of average values. For optimized validity, the study was conducted using a controlled, randomized, anonymized, and blinded patient simulator study design. Thirty-eight undergraduate dental students were randomly divided into two groups; both groups were applied to both methods, in opposite sequences. Investigated methods were the transfer of casts using an arbitrary face-bow in comparison to the transfer using average values based on Bonwill’s triangle and the Balkwill angle. The “patient” used in this study was a patient simulator. All casts were transferred to the same individual articulator, and all the transferred casts were made using type IV special hard stone plaster; for the attachment into the articulator, type II plaster was used. A blinded evaluation was performed based on three-dimensional measurements of three reference points. The results are presented three-dimensionally in scatterplots. Statistical analysis indicated a significantly smaller variance (Student’s t test, p < 0.05) for the transfer using a face-bow, applicable for all three reference points. The use of an arbitrary face-bow significantly improves the transfer reliability and hence the validity. To simulate the patient situation in an individual articulator correctly, casts should be transferred at least by means of an arbitrary face-bow. The online version of this article ( https://doi.org/10.1007/s00784-018-2499-6) contains supplementary material, which is available to authorized users. 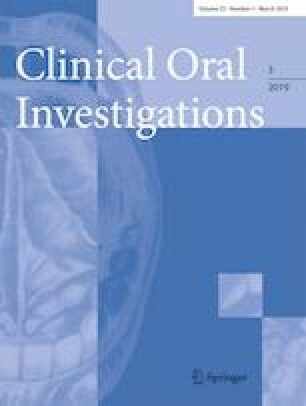 The authors would like to express their heartfelt thanks to the dental students at the University of Leipzig who participated in the study as test persons, as well as to Mr. Christian Pala and Ms. Brigitte Münzner, Certified Dental Technicians at the University of Leipzig, who skillfully prepared the 152 casts. Special thanks also to Tom Kennedy, Boston, for his support in refining the manuscript as native speaker, as well as to Agnieszka Tarkowska, Hamburg, for refining and proofreading the manuscript.